Are you looking for new fun ways to spread the Christmas spirit? One way to do that is to make your own Christmas Tree Ornaments with your children! Decorating the Christmas Tree is always such a fun event, why not make your own and then put those up too?! A good way to spend time with your family is to make crafts. It provides a fun activity to do with the whole family during a busy time. 1.Reindeer Ornament – To create this ornament you will need are the inside of a toilet paper role, scissors and markers to trace the design onto the toilet roll and cut out! They look great on the Christmas Tree. 2. Photo Ornaments: To create a photo ornament, you will need twine, a photo, one whole punch, matte mod podge, foam brush, wood disc (or you can use any circular flat object). You will cut the picture into a circle and glue with the matte mod podge under and over the photo. Use the whole punch to put a whole in the top and hang it from twine. Make sure it dries or the glue will drip! You can create as many of these as you want and hang them on the tree. This would also be a cute gift for your child to make for their teacher or friends. 3. Cinnamon Sticks Christmas Tree Ornaments: You will need 2 cinnamon sticks, a glue gun, sprigs of rosemary, and different colored beads. Use the hot glue gun to put the sprigs of rosemary horizontally across to make branches. Then hot glue the beads on the branches for the decorations. Let them dry. These ornaments can be used as decorations around the house! 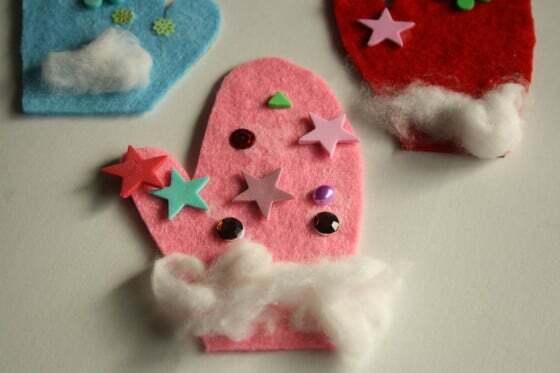 4.Felt Hand print Mitten Ornament: You will need felt paper, markers, scissors, cotton, glue and beads. Trace your child’s hand and then cut out. Then you can decorate the bottom of the glove with cotton glue. Decorate as much or as little as you like. Then use a single hole puncher to make a hole and string to hang it. 5.Bottle Cap Snowmen: You will need 3 bottle caps, hot glue gun, white paint, ribbon, buttons, red paint, orange paint, black paint, and paint brushes. Use the ribbon to make a loop on the top of the head of the snowman to hang it. Then use another ribbon to make the scarf around the middle of the first two bottle caps and glue a button to hold it together. Paint the inside of the bottle caps white. Then draw the face on and buttons. Hot glue the three bottle caps to the long ribbon to hold it together. Let it dry and hang up around the house and on your tree! All of these are easy do it yourself (DIY) ornaments that you can create with your children. 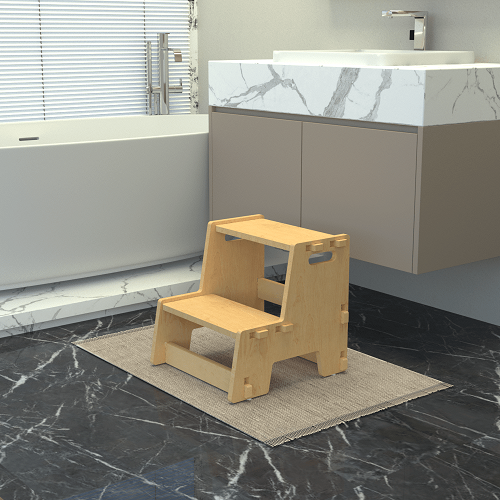 They are all fun activities and all allow children to put in their creative touch to make it a personalized experience. Make sure to enjoy the time that you are spending with your children and not to get upset if they don’t make it perfect – handmade crafter ornaments from your children are a priceless treat.